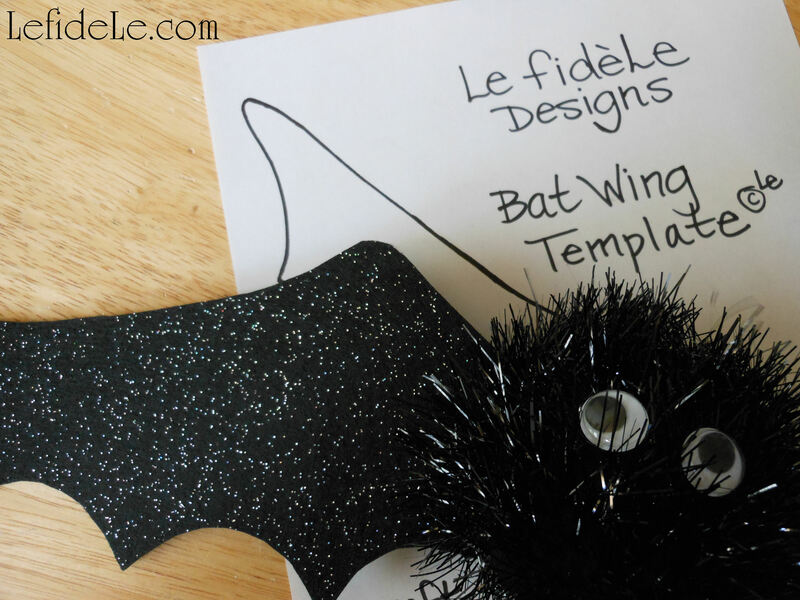 This super easy DIY Halloween décor craft makes kid friendly bats that are lightweight enough to hang anywhere you like. 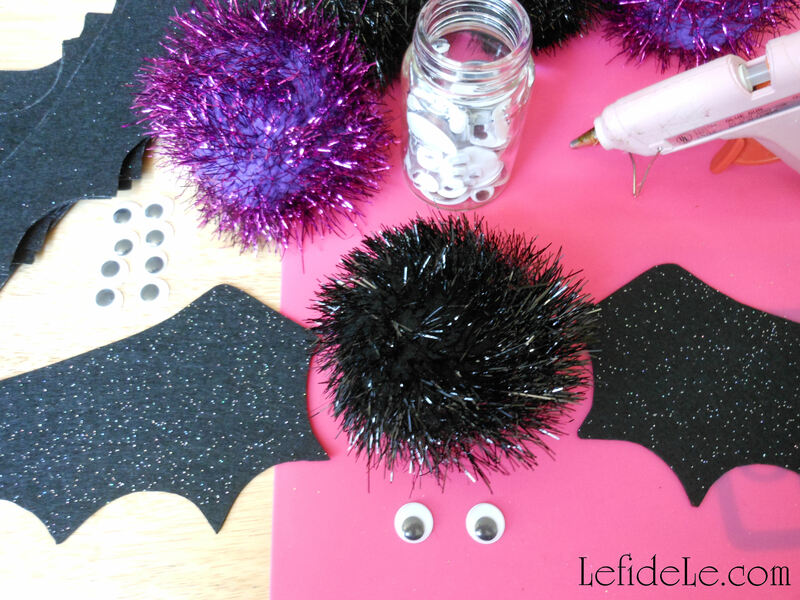 All you need to make them are glue, google eyes, stiff felt sheets (or craft foam), and big pompoms. In fact, the idea came from my mother bringing me a bag full of sparkly pompoms saying, “They were on clearance, and I thought you could make something out of them.” Challenge accepted. I already had some giant friendly spiders, but couldn’t find any similar looking not-so-scary bats. The pompoms would be perfect for constructing my own. 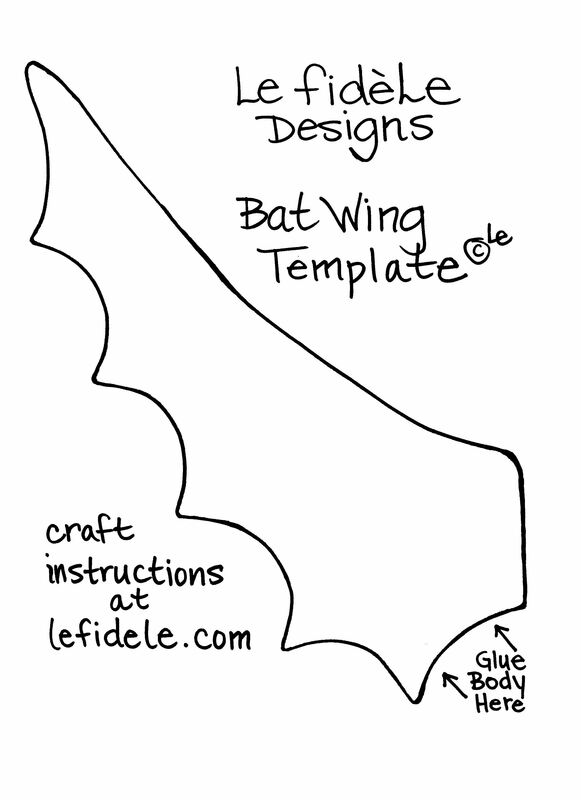 To create your own, first print out the template image at the end of the article. (Simply right click the template image on your computer then select print.) You can even set your printer to a different scale if you are using different sized pompom centers. 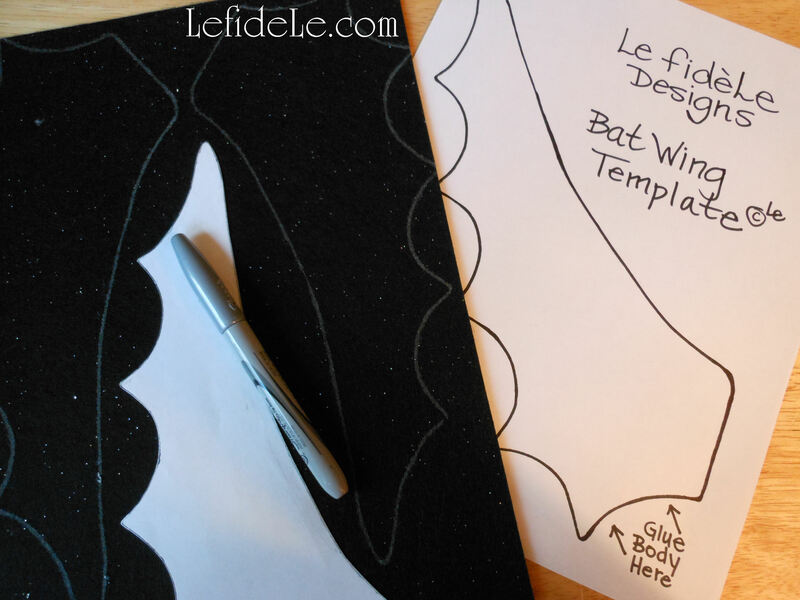 Cut out the template and trace the image onto the felt. I used a silver Sharpie marker so that I could see the lines later. This is a great time to get the kiddos involved. Cut just inside the lines, unless you prefer an outlined look. Glue on the google eyes and wings. Try doing this at different angles to simulate various stages of flight. 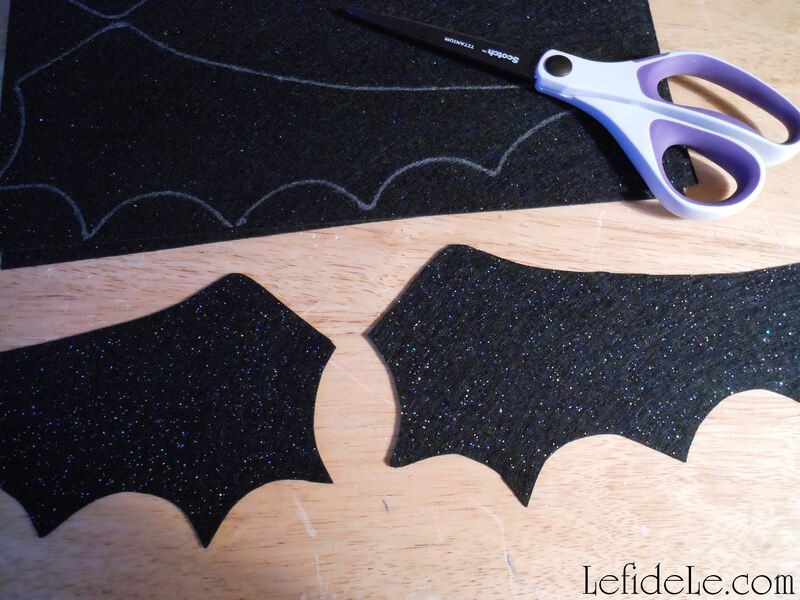 I used hot glue because it bonds immediately, but you should use something else if little ones are helping. Cheap clothespins make great clamps to hold items while glue dries. 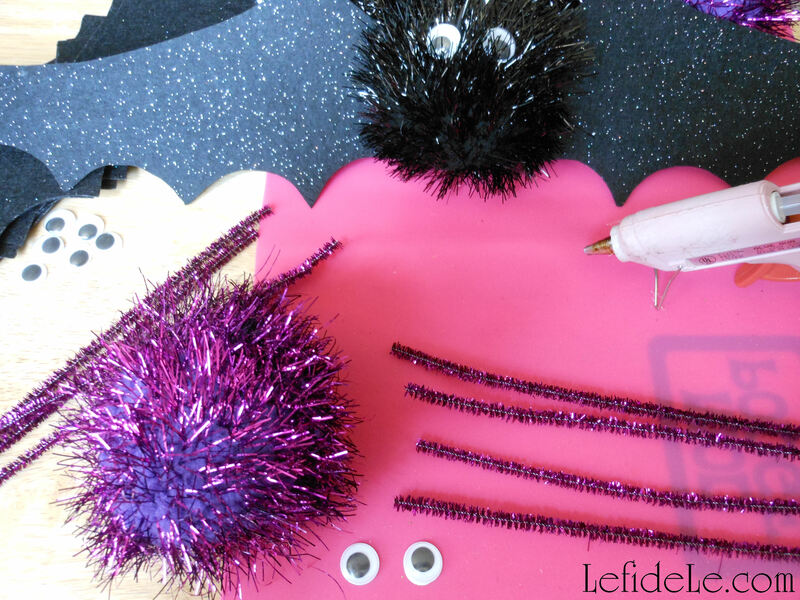 I already had spiders, but it’s easy to make your own by simply gluing the ends of pipe cleaners to the pompoms. Those are purple tinsel ones in the picture. You can also find them in a thicker variety that would look better on the larger centers. 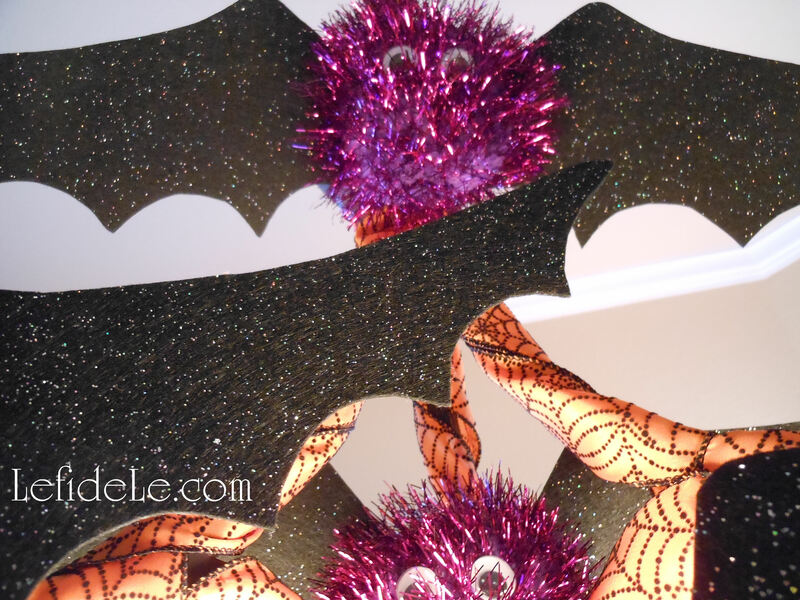 See pictures of them “crawling” over my tablescapes and staircase in the upcoming “Glitter-ween” party article. In order to hang the little guys later, slide a piece of thin wire through the back of the pompom and twist the ends together. 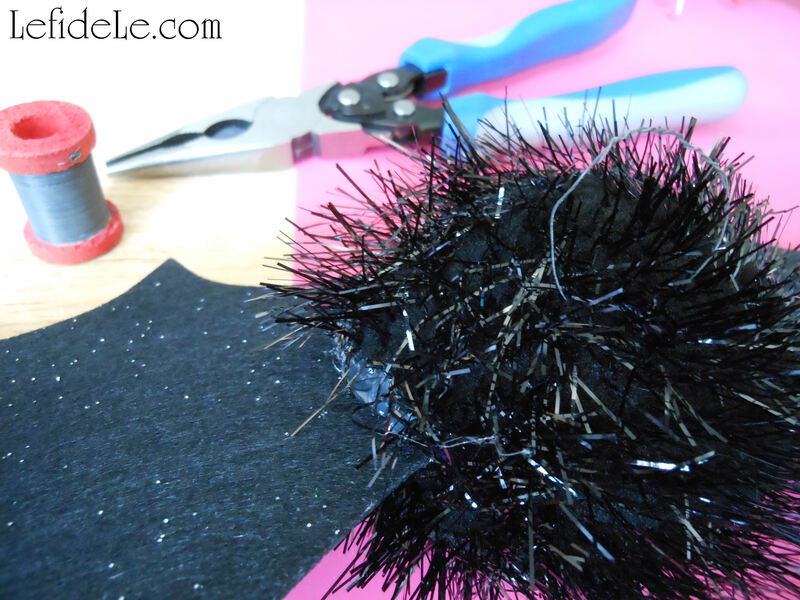 If you’re using a different type of pompom, you can always glue a loop on. I prefer enclosed circles rather than hooks to prevent anyone from getting their fingers stuck. Also, they pack better after the holidays without sticking into each other. These hung really well from the round wall of my spiral staircase. They looked like they were flying to the second floor. 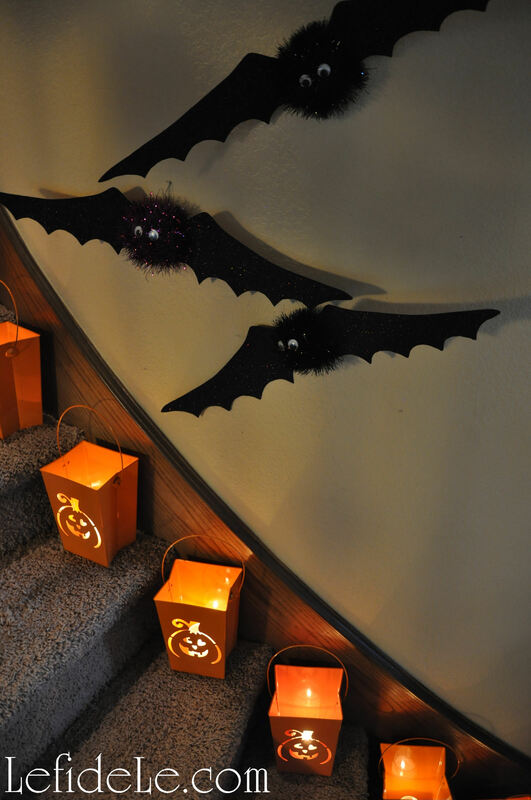 Spooky shadows were created by luminarias beneath them on the stairs. 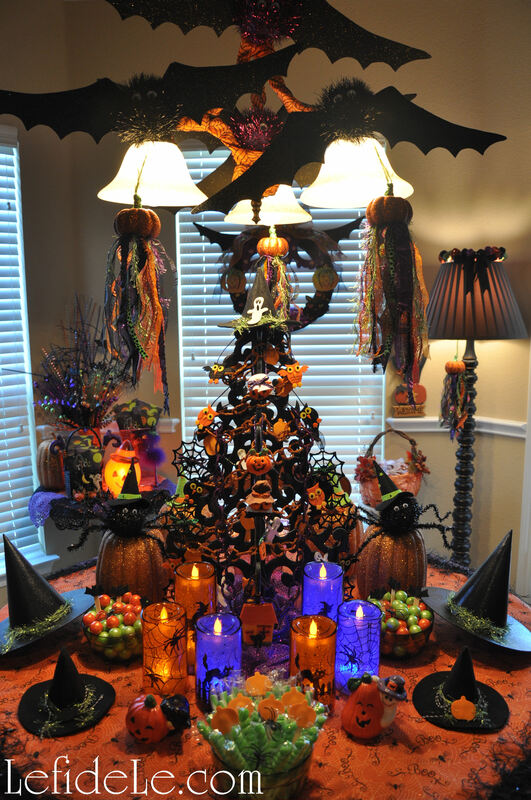 I wrapped a chandelier in spider-web ribbon, then added the bats. One set down right in the center, another three looped right onto the metal tops holding the light shades, and only one needed to be wired onto the chain. Hang them anywhere and everywhere, and have a Happy Halloween!